What would you think of a person who earned $24,000 a year but spent $35,000? Suppose on top of that, he was already $170,000 in debt. You’d tell him to get his act together — stop spending so much or he’d destroy his family, impoverish his kids and wreck their future. Of course, no individual could live so irresponsibly for long. But tack on eight more zeroes to that budget and you have the checkbook for our out-of-control, big-spending federal government. Yet when Congress and President Obama agreed on a deal last week to raise the debt ceiling and resume government spending, people reacted as if a disaster was averted — instead of reacting as if a disaster had resumed. It has. And it continues. Congratulating ourselves for raising the debt ceiling once again, the way we do every time this drama plays out, is like congratulating an alcoholic for talking the bartender out of cutting him off. As with alcoholics, there’s a deeper problem here. It’s not just that America is addicted to debt. Everyone agrees we should pay our bills, just not when or how. The deeper addiction is to government. For most of the history of America, federal spending never took up more than 5 percent of the economy. Spending increased during wars, but after World Wars I and II, spending dropped back to prewar levels. Then came Presidents Johnson and Nixon and the “great society.” From then on, spending rose even in peacetime. Now, if you include local government, government spending makes up more than 40 percent of the economy. Politicians from both parties criticize spending when they’re out of power. But then they increase spending once they’re in power. I agree! $9 trillion in debt is totally irresponsible. That makes it all the more remarkable that just a few years later, under President Obama, debt increased to $17 trillion. But now, suddenly, this vast debt is no longer irresponsible. Today the president says what is irresponsible is for Congress not to constantly raise the debt ceiling. The problem isn’t just politicians. I showed people on the street a chart that documented America’s unsustainable spending. People were horrified and said government “should make cuts.” But when I asked, “What programs would you cut?” most could not name a single significant program. Shrink the military by reducing our overseas commitments. Reform Social Security by raising the retirement age. And instead of increasing government involvement in health care, turn Medicare into a self-sustaining insurance program. But to save America from bankruptcy, we don’t even need to make all those cuts. We could grow our way out of debt if Congress simply froze spending. They won’t do that either, but if they limited spending growth to 2 percent per year, we could balance the budget in just three years. Limiting government growth is politically difficult, but if we don’t do it, America is doomed. 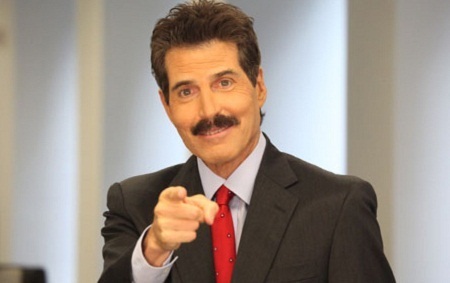 John Stossel is host of “Stossel” on the Fox Business Network, and the author of “No They Can’t! Why Government Fails, but Individuals Succeed.” More about: Stossel at: www.johnstossel.com.